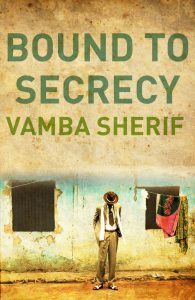 Steeped in the tradition of supernatural detective fiction and exploring the use and abuse of power in dysfunctional governments, this novel begins with the arrival of William Mawolo, a stranger from the capital, in a border town somewhere in Africa. On a secret mission to investigate the disappearance of the local chief, Mawolo is hampered by the suspicion of the local population, particularly Makemeh, the daughter of the missing chief, whose apparent indifference to her father’s disappearance emboldens Mawolo to draw closer to her. As time goes by and no one in the capital orders him back, Mawolo decides to go above his official authority and take charge of the town, but this move only bolsters his ego and antagonizes the locals further—at which point he realizes that learning the secrets of the town might just bring about his own demise.